The past year has been one of constant innovation and technological development that has had a ripple effect across a broad spectrum of industries. 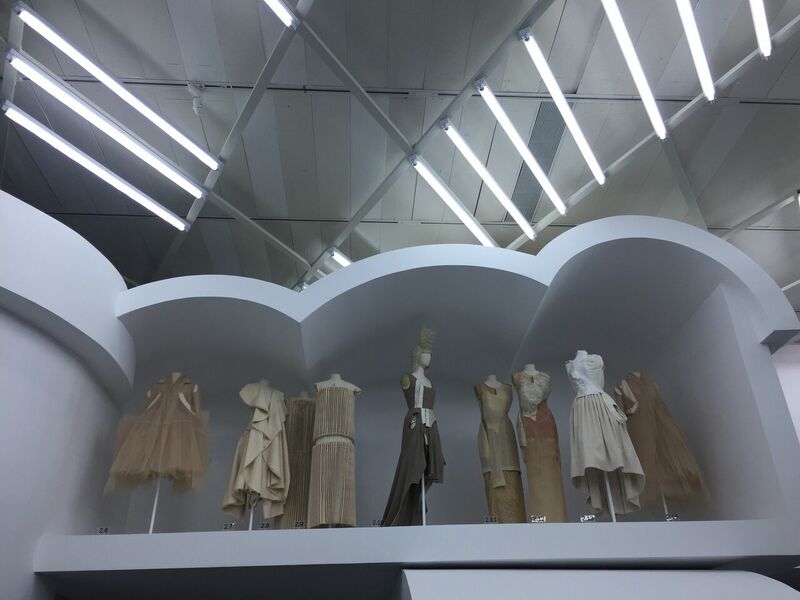 One area experiencing a particularly fascinating technical revolution is the fashion industry. From garment construction all the way to retail, this paradigm shift towards eco-friendly mixed mediums and automated processes has the potential to change the footprint of fashion as we know it. Let’s take a look at some of the recent standouts. RFID uses electromagnetic fields to capture and access information stored on tags, usually accessed by a reader device. 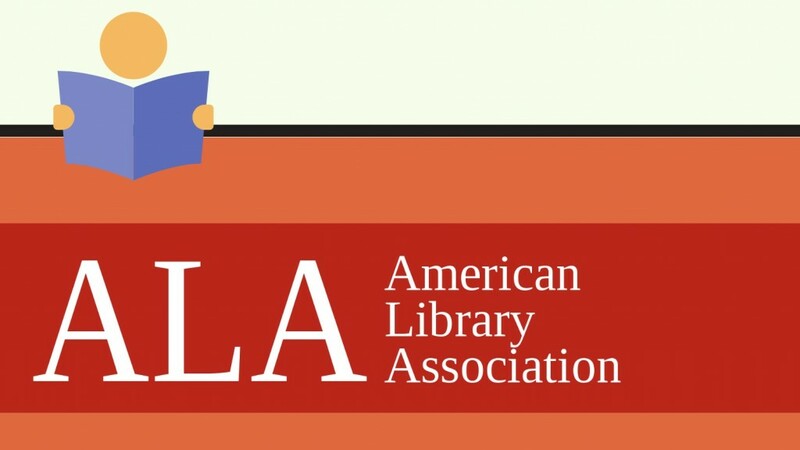 This is especially useful when it comes to telling the difference between identical items of clothing on a retail shelf for inventory purposes, for example, or tripping an alarm if an item is carried out of a store without being properly rung up. A company that has recently been pushing the RFID envelope is Farfetch. Based out of London, the company, billed as a “luxury e-tailer,” believes that it has come up with a solution to bridge the ever-widening divide between brick-and-mortar stores and their ecommerce components. 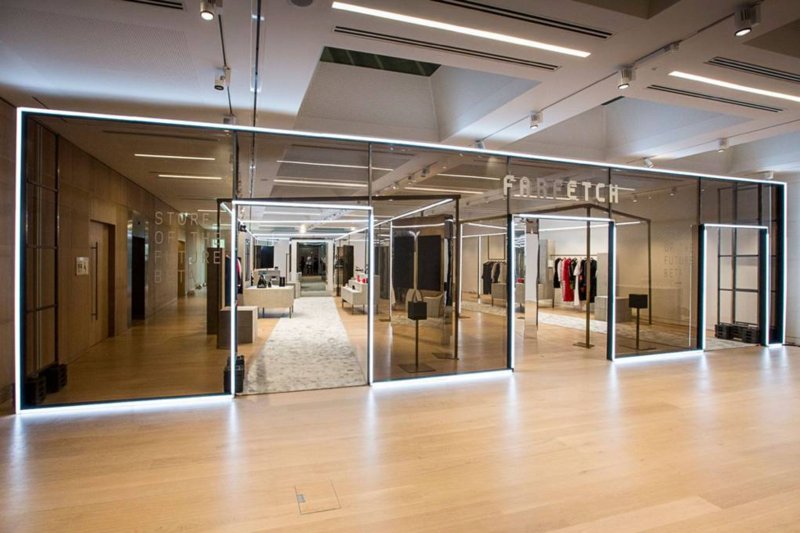 Called the “Store of the Future” (SoF), Farfetch’s platform will use data from online searches along with RFID tracking to create a real-time “wishlist” based on what consumers are really looking at online— as well as physically picking up off the rack. Even for brands not participating in this SoF concept, the real-world applications of this technology are limitless. Fashion collectives like Rebecca Minkoff have been using RFID to enhance the checkout experience of their customers– allowing them to cash out more quickly than in the past. 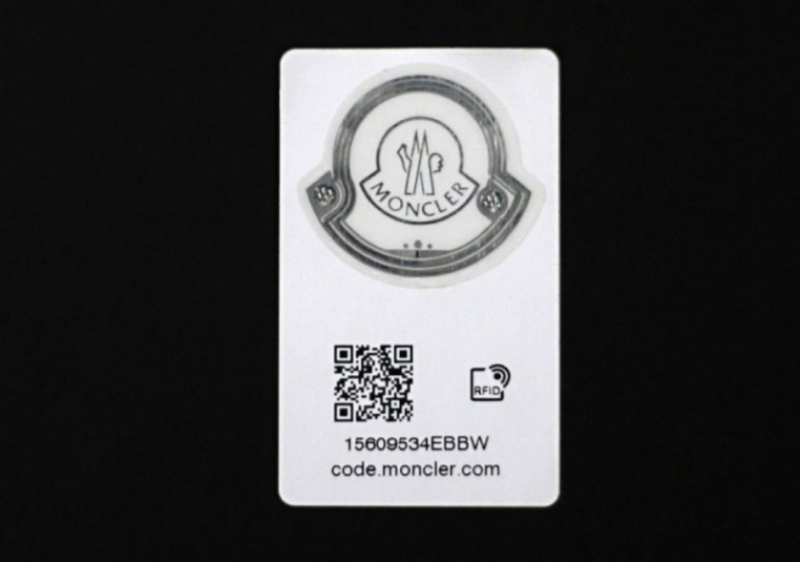 Additionally, brands like Moncler are using RFID chips embedded in clothing to combat the thriving counterfeit industry. Customers can authenticate their goods via an app or through the website, which is especially useful when purchasing used or from third-party retailers. When it comes to AI, fashion front-liners can often be concerned at the potential for “robots” to take over jobs in the construction and manufacturing of clothes that were previously held by master craftsmen and factory workers dependent on the income. While it’s natural to feel some hesitation at the uncertainty of the future, it’s important to look closely at the ways this emerging technology is helping support the workers who make fashion possible, not replace them. One of the important things to understand about artificial intelligence is that while the technology allows for more efficient and complex data processing and analysis, this is usually limited in scope to one niche application. This means that AI is, at present, more like a toolbox than the handyman itself, augmenting the skills someone already possesses. According to fashion experts in Frankfurt, some of the most profitable avenues for AI in fashion are in forecasting trends and managing manufacturing and supply chains. One great case study of this is Stitchfix, a company specializing in monthly clothing subscription boxes and personal shopping services. Something that has set them apart has been their embrace of AI and machine learning algorithms to predict and reduce return rates, personalize their clothing and accessory selections, and develop new styles based on purchasing trends and customer feedback. According to Forbes, this approach has allowed them to break $1 billion in revenue, and continues to allow them to offer their subscription based product at a premium competitors struggle to match. Put simply, biodesign is a recent field of fashion that quite literally intersects the fields of biology and design. The idea of being able to take organic materials and integrate them into wearable, sustainable fashion has become a major focus of athleisure giants like Nike and Puma, among others, in collaboration with top researchers from institutions like MIT. In fact, the developing industry is rumored to be around $13.4 billion dollars, proving that there is increased interest in the field. 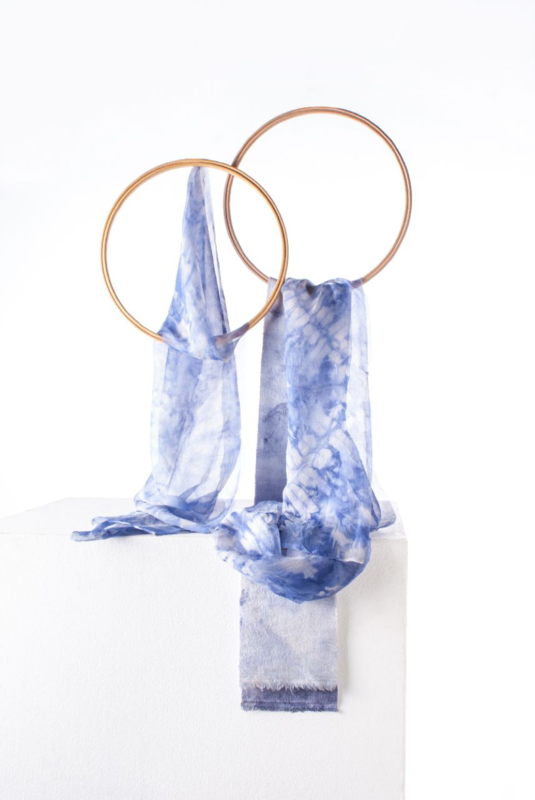 Other projects aiming to use biodesign to shrink the fashion footprint are in initial phases of development and refinement, with Dutch design lab Kukka being a noteworthy example. The “In Living Color” installation is an ongoing biodesign project, according to designer Laura Luchtman, that uses pigmented bacterial dyes like carotenoids and violaceins to create sustainable textiles. Luchtman takes the innovation one step further— by creating a “sound lab,” she and a partner subjected bacterial cultures to various frequencies in order to speed up growth and create unique patterns by making the bacteria “dance” on the fabric. 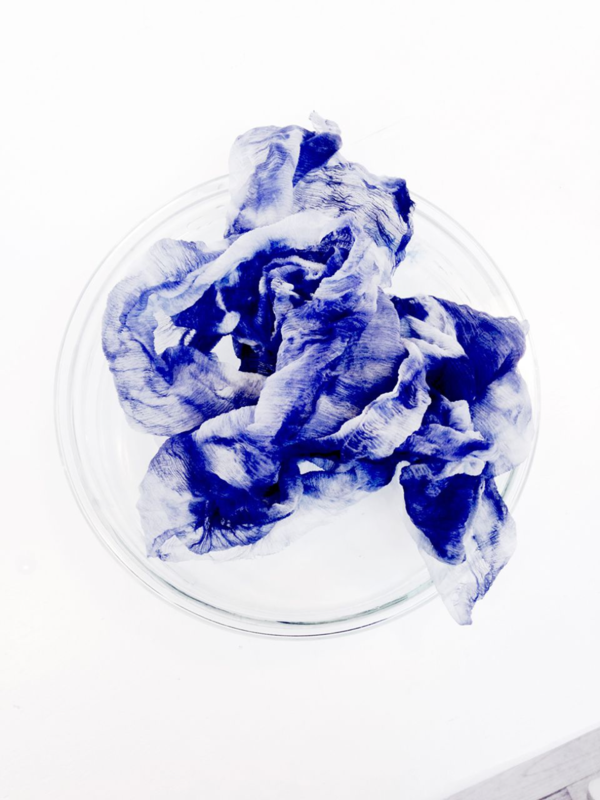 Bacterial dyeing is not a new science— as early as 2015, we were seeing start-up brands incorporating pigment-producing microbes into their process, in an attempt to reduce the usage of synthetic dyes. Often considered to be “dirty,” synthetic dyes are produced largely via toxic chemicals and oil, none of which bode well for sustainable, eco-friendly manufacturing. Even if such a future is still in development, it’s refreshing to note that we are on our way to a more green approach to fashion. A topic that has previously been addressed on the University of Fashion Blog, 3D printing has had a hand in biodesign as well, since the advent of 3D printers allow designers and researchers to create structures and textiles that mimic those that exist in nature. Beyond that, incidents of technology used in a fashion context has soared to record heights lately— with a recent example being the unveiling of the first ever wearable collection made of entirely 3D printed materials, by designer Julia Daviy at this year’s New York Fashion Week. Daviy’s large-scale printing technique means that clothing is assembled on industrial printers and by using cutting edge flexible resin technology— all without a single stitch of thread or glue. This minimal-waste approach has also proven to be far less labor-intensive than other types of manufacturing, meaning that an increased potential to shape the current state of factories into something more reflective of our collective social and environmental focus. From 2017-2018 alone, there have been a number of technological advancements that push the boundaries of what we previously thought possible in terms of creation, manufacturing, and consumer experience. While this has the ability to change the field of play in a positive way, it’s important to be cautious about the potential for ethical complications as a result of greed and hastiness. That’s certainly true, which is why it’s so comforting to see the same headlines when it comes to the future of fashion and tech— it seems like the majority of us are in alignment that developing technology that does right by workers and consumers will also help brands achieve the success they strive for. What can you add to this story? Are you ready for a fashion industry based on technology? It was the most anticipated wedding of the year; Prince Harry and Meghan Markle tied the knot today (May 19, 2018) at St. George’s Chapel at Windsor Castle. It was a ceremony that managed to meld centuries of British tradition with a distinctly contemporary American feel and British and America flags waved gloriously all over England. As the world watched, Meghan Markle made the trip to St. George’s Chapel with her mother Doria Ragland. 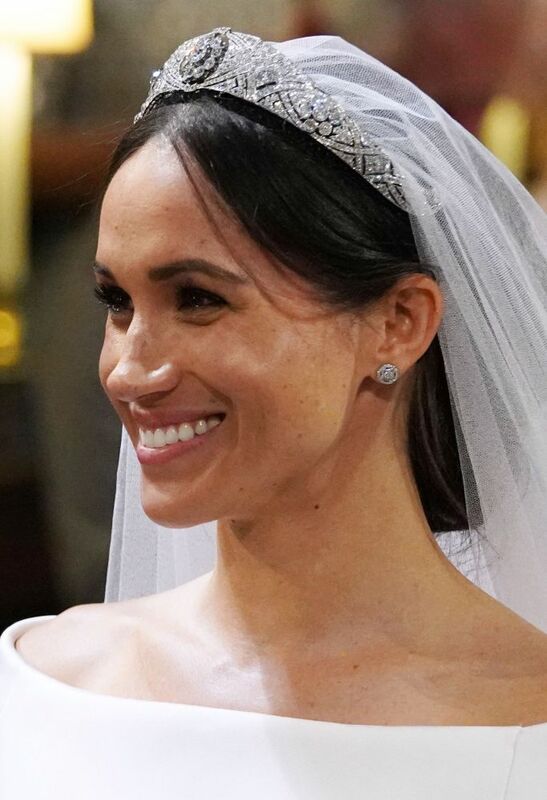 The stunning American actress has now become the Duchess of Sussex with a simple “I do” to Prince Harry. There was plenty of speculation on what she would wear on this momentous occasion. Many thought that she would wear a custom gown by Ralph & Russo – after all, she chose an embellished Ralph & Rosso for her engagement portrait. Up until yesterday, many were assumed she would wear a Stella McCartney, since McCartney is an ethical fashion designer and avid animal rights activist. 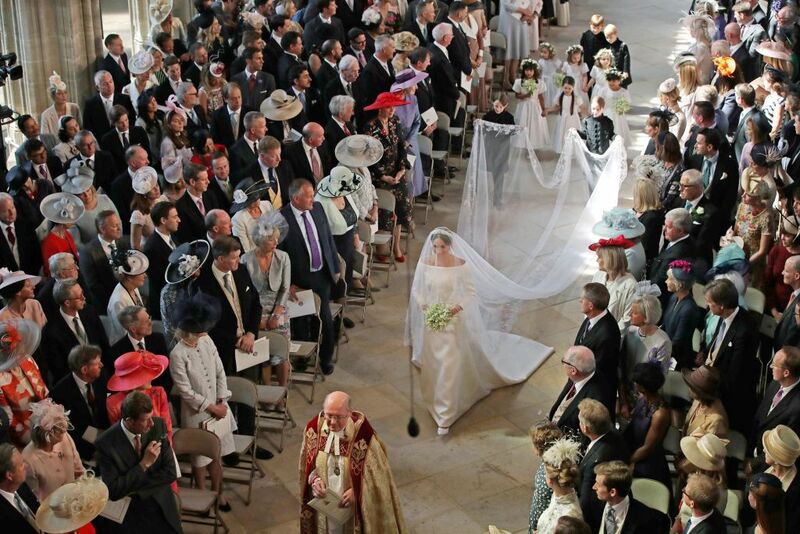 As Prince Charles walked Markle down the aisle, the soon to become Duchess of Sussex succeeded in a making global statement by choosing: a minimalistic gown from a French couture house designed by a British designer (Clare Waight Keller), a diamond tiara on loan from the Queen (once worn by Queen Mary), diamond earrings from French jeweler, Cartier earrings and a veil bearing symbols of the Commonwealth. While Markle respected British heritage and tradition, she has also ushered in a new age of simplicity and global inclusivity. The dress, with its boat neck, clean lines and lack of embroidery, was quiet and demure, a stark contrast to Princess Diana’s wedding dress. The palace said that after meeting Waight Keller in early 2018, Markle chose to work with the designer due to her “timeless and elegant aesthetic, impeccable tailoring,” and relaxed demeanour. 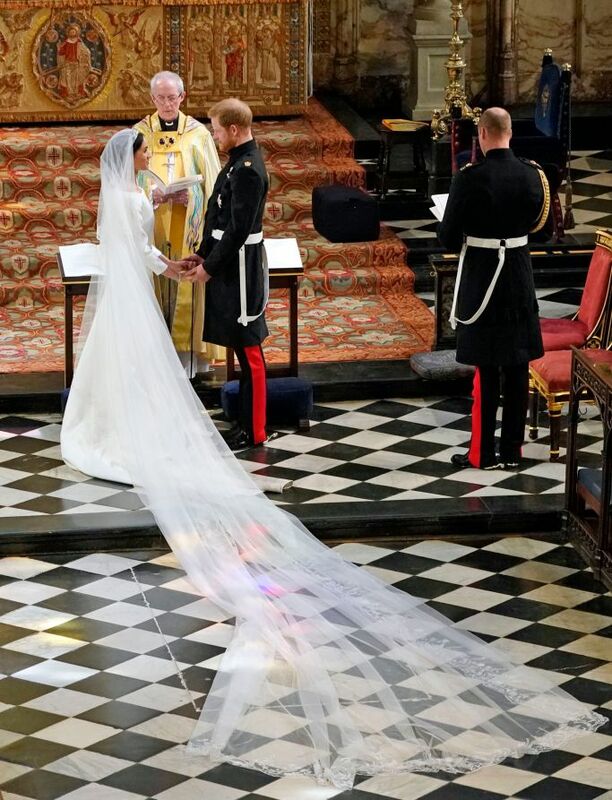 The gown was a surprisingly subdued choice compared to her sister-in-law Kate Middleton’s intricate lace wedding dress by Alexander McQueen’s Sarah Burton. The lines of Markel’s dress were achieved using only six seams, and the dress extended towards the back where the train flowed into soft folds cushioned by an underskirt in triple-silk organza. Waight Keller worked with an exclusive double bonded silk cady, which she developed which gave the dress more shape. Both Waight Keller and Markle wanted a “pure white” color to bring a fresh modernity to the dress, the palace said. While the gown was relatively simple, the veil, in contrast, had plenty of intricate details. The bride wanted to have a distinctive flower from of each Commonwealth country with her on her journey through the ceremony, according to Kensington Palace. The veil was five meters long and made of silk tulle trimmed with hand-embroidered flowers in silk thread and organza. Each flower was worked flat and in three dimensions, to create a unique and delicate design. The palace said the workers spent hundreds of hours meticulously sewing and washing their hands every 30 minutes to keep the tulle and threads pristine. In addition to the flora of the Commonwealth, Markle selected two personal favorites: Wintersweet (Chimonanthus praecox), which grows on the grounds of Kensington Palace, in front of Nottingham Cottage where the couple lives, and the California Poppy (Eschscholzia californica) the state flower from Markle’s native California. Symmetrically placed at the very front of the veil, crops of wheat are meant to blend into the flora, to symbolize love and charity. 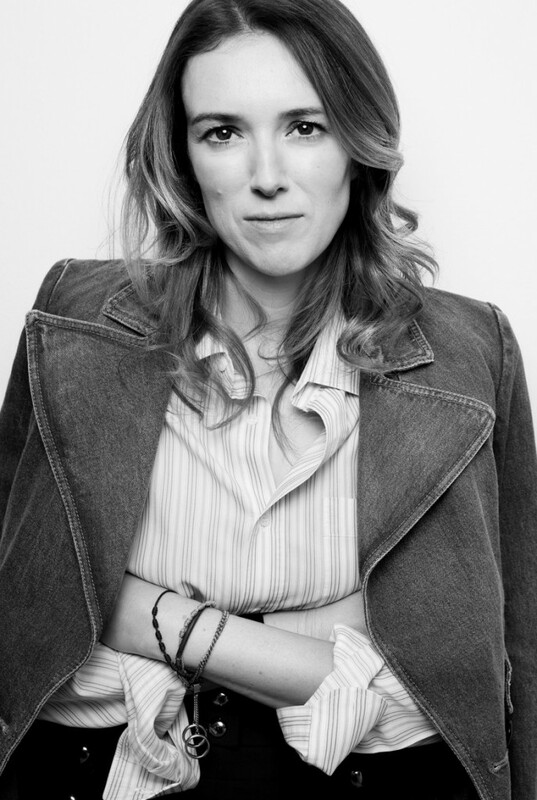 For those unfamiliar with Clare Waight Keller, here goes: She is a British mother of three and a talented, low-key British designer who is all about femininity, soft edges and beautiful fabrics. She also has a reputation for cutting a killer pair of pants. She attended both Central Saint Martins College of Art and Design and the Royal College of Art in London. Waight Keller began her fashion career designing for Calvin Klein, where she worked for four years. She also worked with Polo Ralph Lauren as design director of Purple Label Menswear and was a senior design director with Tom Ford at Gucci. Waight Keller is known for her knitwear and her sleek, tomboyish, yet elegant style. In 2005, she became creative director at Pringle of Scotland and her first menswear collection was presented at Milan Fashion Week 2006. In 2011, she joined Chloé, where she coined the term “sister style,” a look that expresses clothes that are simple, comfortable and romantic. In 2016, Apple Music launched a fashion channel playlist and tapped Waight Keller and designer Alexander Wang to curate the music selections. On March 16, 2017 she became the first female to become artistic director at the French House of Givenchy. 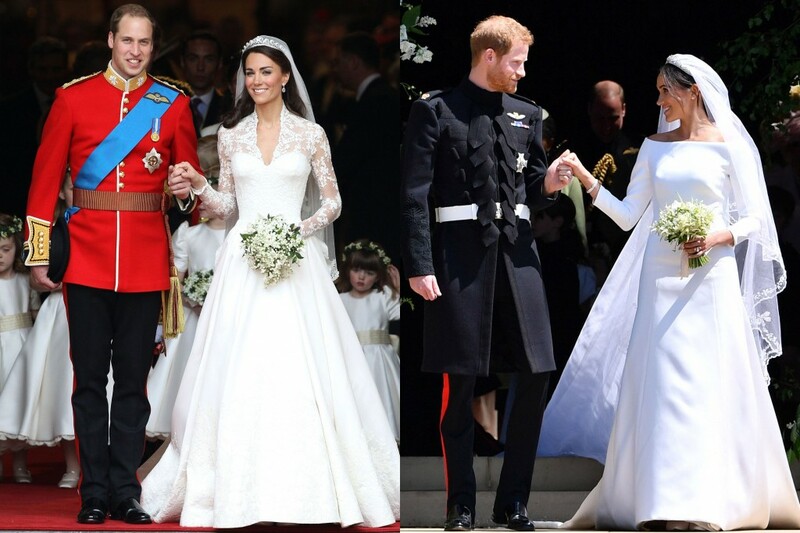 So tell us, whose dress do you think was more fitting for a princess? Kate Middleton in Alexander McQueen or Meghan Markle in Givenchy Couture? Is fashion art? This has always been a debate among the creative crowd, but a walk through this year’s Metropolitan Museum of Art’s Costume Institute spring 2017 exhibit, the answer is clear. 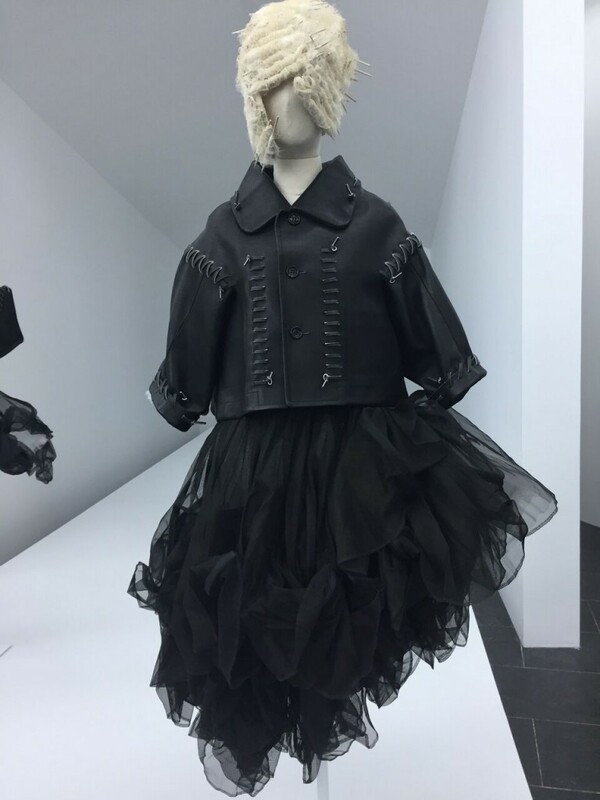 The exhibition focuses on the avant-garde works of Rei Kawakubo, the reclusive founder and designer behind the cult label Comme des Garçons. 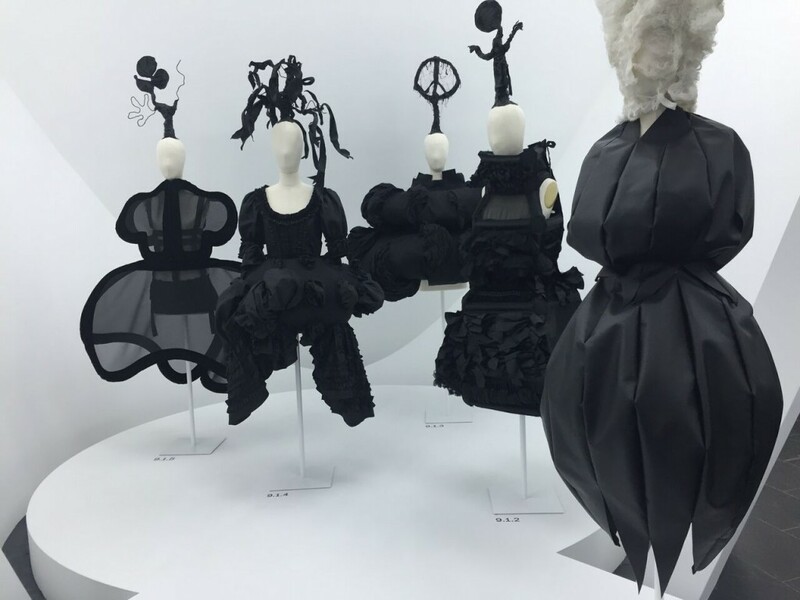 The fashion forward exhibition, Rei Kawakubo/Comme des Garçons: Art of the In-Between, is on view from May 4 through September 4, 2017. 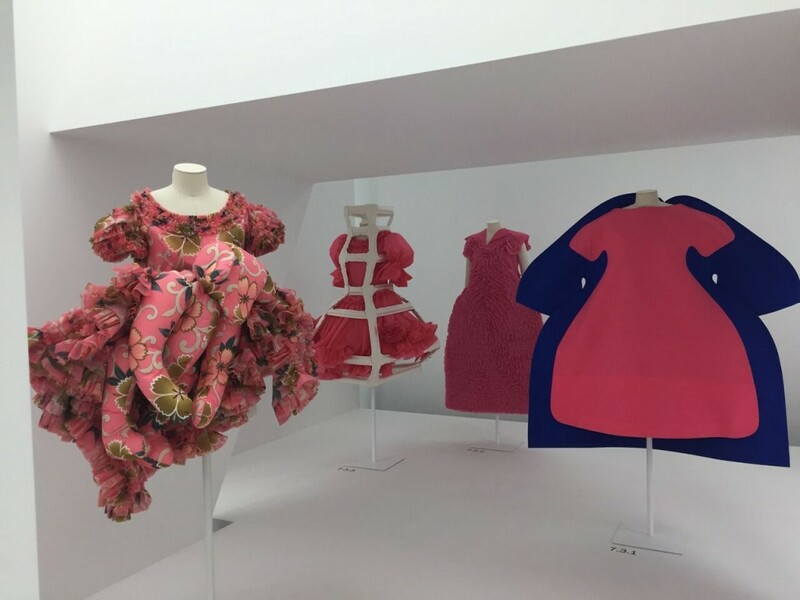 The show examines Kawakubo’s obsession with the space between boundaries. Her aesthetic can be viewed as unsettling at times, but upon close examination, her work wavers on creative genius. 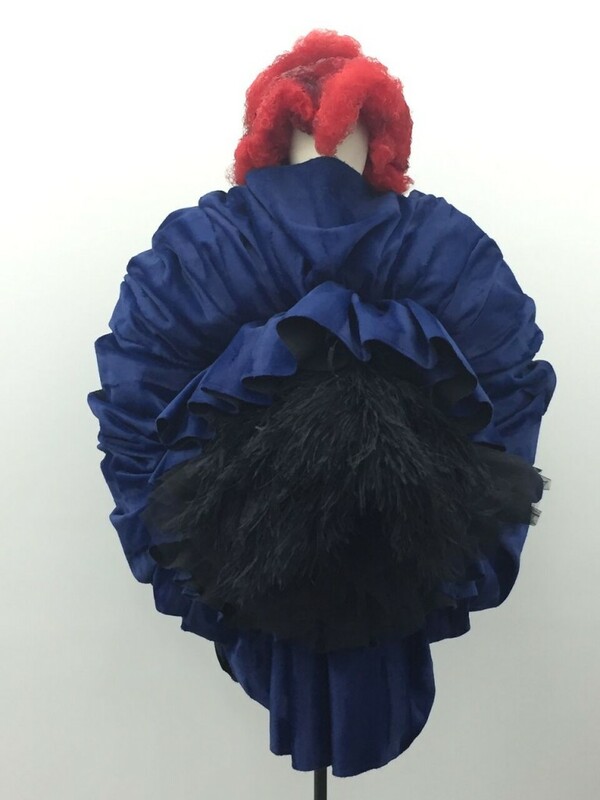 Kawakubo challenges the conventional perception of beauty, good taste, and fashion. 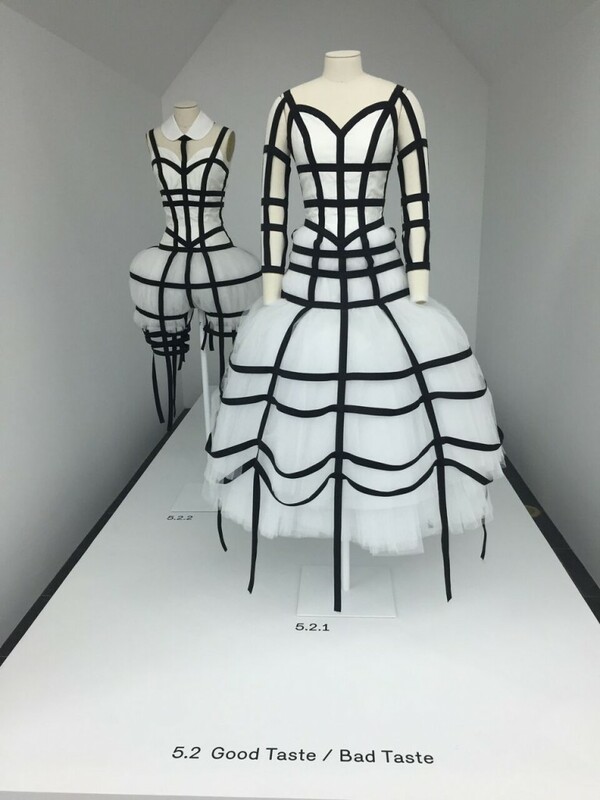 A thematic exhibition, rather than a traditional retrospective, this is The Costume Institute’s first single-subject show on a living designer since the Yves Saint Laurent exhibition in 1983. 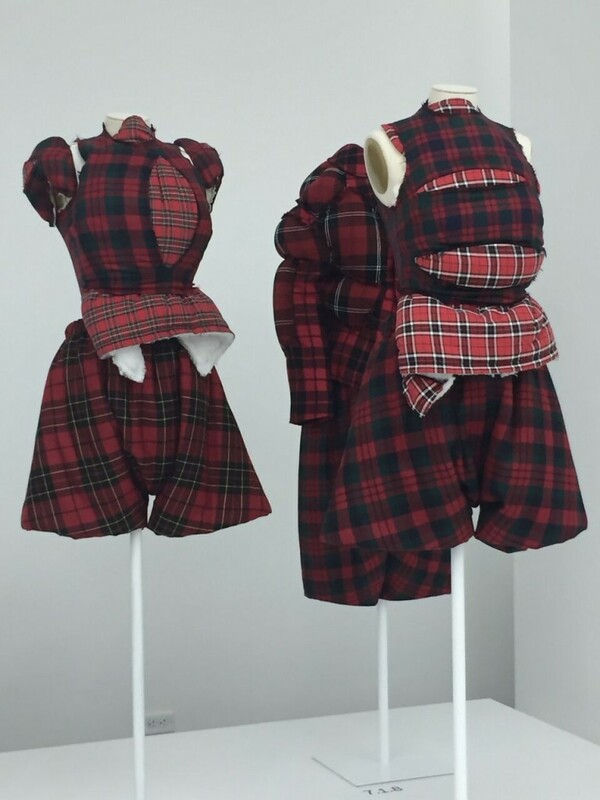 The exhibition showcases approximately 120 examples of Kawakubo’s womenswear designs for Comme des Garçons, dating from her first runway show in 1981 to her most recent collection. 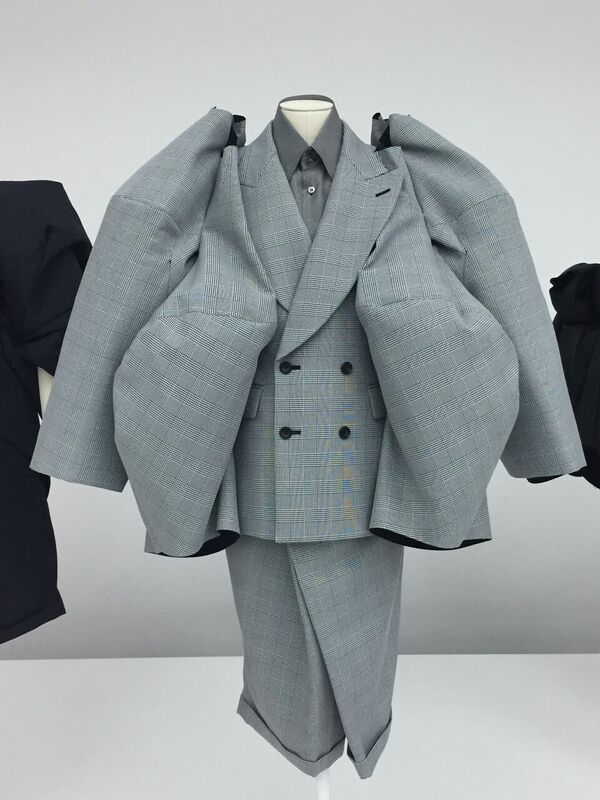 The white-walled exhibit is broken into nine dominate and recurring aesthetic expressions in Kawakubo’s work: Absence/Presence, Design/Not Design, Fashion/Anti-Fashion, Model/Multiple, High/Low, Then/Now, Self/Other, Object/Subject, and Clothes/Not Clothes. Each section examines the “in-betweenness.” The exhibit guidebook suggests a pathway through the circular layout inhabited by puzzle-piece-like structures framing the looks, but guests also are encouraged to choose their own adventures and let their imaginations go wild. In her career, the 74-year old designer has been hailed a revolutionary; she has managed to break down the imaginary walls between these dualisms, exposing their artificiality and arbitrariness. Her fashions demonstrate the endless possibilities to rethink the female body and feminine identity. 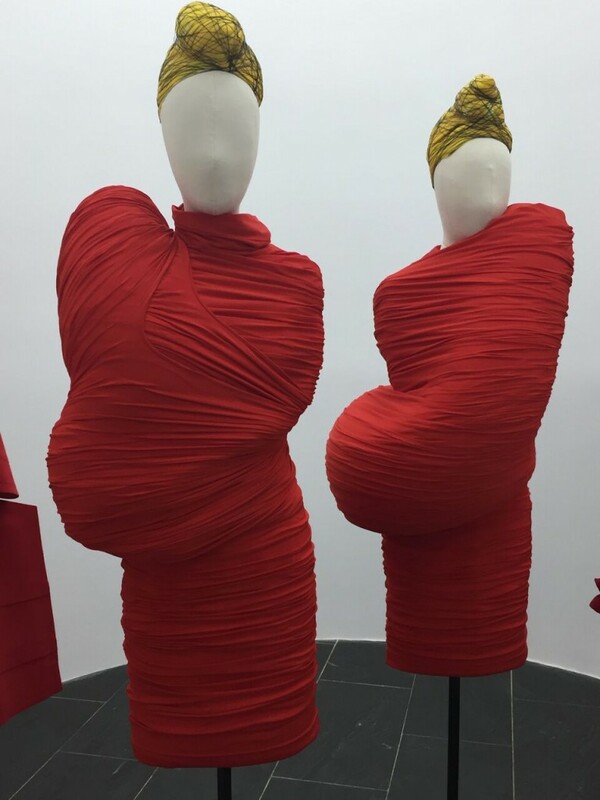 The exhibit reflects Kawakubo’s enduring interest in blurring the boundaries between body and dress. Studying Kawakubo’s work it becomes clear, she loves to experiment with forms and clearly ignores the norm — she is in a constant search for “newness.” Her clothes are sculptural objects, non-functional at times, but maybe we should forget about clothing and we should view Kawakubo’s work as a true contemporary artist whose tools involve fabrics, utility and the body. Rei Kawakubo said, “I have always pursued a new way of thinking about design…by denying established values, conventions, and what is generally accepted as the norm. And the modes of expression that have always been most important to me are fusion…imbalance… unfinished… elimination…and absence of intent.” A hallmark of the Japanese philosophy of wabi-wabi. To learn more about Rei Kawakubo and other key players in the fashion industry, pick up the second edition of “The Historical Dictionary of the Fashion Industry” (due out in August) by UoF’s founder Francesca Sterlacci, as well as checking out Google’s latest project “We Wear Culture” – Now the world will get to see Kawakubo’s genius. More CAD videos just added!